Every bedroom needs a good bed to draw attention and provide you with a comfortable place to sleep. This panel bed does just that. Rustic cherry veneers and solids are bathed in a warm finish to create an inviting atmosphere. Splayed and tapered legs along with framed panels complete the casual design of this bed. The Jamestown Square Casual California King Panel Bed by The Urban Collection at Sheely's Furniture & Appliance in the Ohio, Youngstown, Cleveland, Pittsburgh, Pennsylvania area. Product availability may vary. Contact us for the most current availability on this product. Finish & Paint Options Our Conversion varnish delivers the best long-term quality, hands down. It provides unbeatable durability when exposed to many solvents, household products, food items and oils. The highest solid content of conversion varnish offers a denser wear surface to protect the wood. This coating is extremely clear. The silky feel of our conversion varnish is unmatched. Conversion varnish is chemically cured, as opposed to air drying, which gives a tighter molecular binding, protecting your furniture against solvents and water. This type of coating is not intended for "disposable" furniture. It is designed to safeguard the beauty and integrity of heirloom quality wood products. Drawer / Shelf Construction The front and back corners of each drawer feature English dovetail joinery, which produces a drawer strong enough to withstand a lifetime of openings. All of our cases are designed with drawers that increase in size from top to bottom. Although more difficult to design, the result is a truly stylish and sophisticated look. 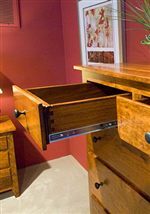 In addition, all drawers extend fully for maximum storage capacity. Our drawer interiors are finished to match the exterior. Each drawer is sanded smooth and stained so that your clothes are protected and your furniture is complete, inside and out. Drawer Suspension Smooth operation and full access to the entire drawer is achieved by our fully extended Accuride ball-bearing glide system. Drawers are attached at the sides onto solid wood; no plastic or staples are used in our construction. Bed Construction Each bed features a dovetailed, solid wood slat support system that rests in a cast-aluminum alloy fitted frame snugly. Each slat has a stained wooden support leveler underneath, and the entire support system is attached to 5/4" solid rails that match the species and stain of your choice. This old-world technique provides stability and strength that will last a lifetime. Case Construction We place these rubber ball bearings inside the frames of all floating panels, which allow the panels to expand and contract naturally without causing warpage, splitting or rattling. Solid wood tops and side panels are a signature of heirloom quality furniture. Every case piece we make – whether a small media chest or a tall armoire – features only the best solid wood top and side panel construction. Case furniture features reinforced wooden corner blocks to add strength to your furniture and prevent it from racking when handling or moving furniture. Urban Lifestyles is proud of the Jamestown Square Collection based on simple, sturdy designs from the Shaker era. In this era, furniture had to be useful and necessary first, the best materials had to be used, and you had to take your time making it. 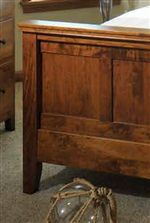 Featured in rustic cherry with our Michaels finish and adorned with a simple black metal knob, this grouping comes standard with a hidden storage drawer on the footboard that has a 19”-depth for storage. This is a casual and comfortable look everyone wants to come home to. The Jamestown Square collection is a great option if you are looking for furniture in the Ohio, Youngstown, Cleveland, Pittsburgh, Pennsylvania area. 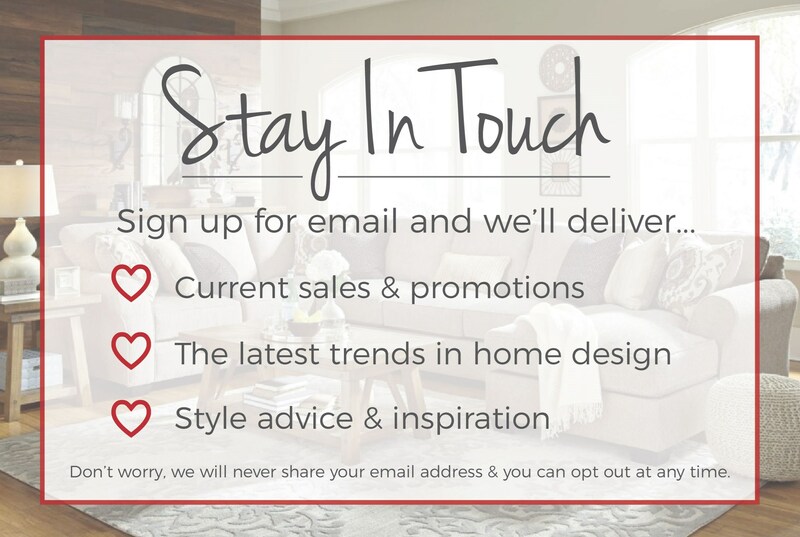 Browse other items in the Jamestown Square collection from Sheely's Furniture & Appliance in the Ohio, Youngstown, Cleveland, Pittsburgh, Pennsylvania area.